If you’re a self-confessed bookworm, simply continue reading to discover some of the best spots to read a book in. 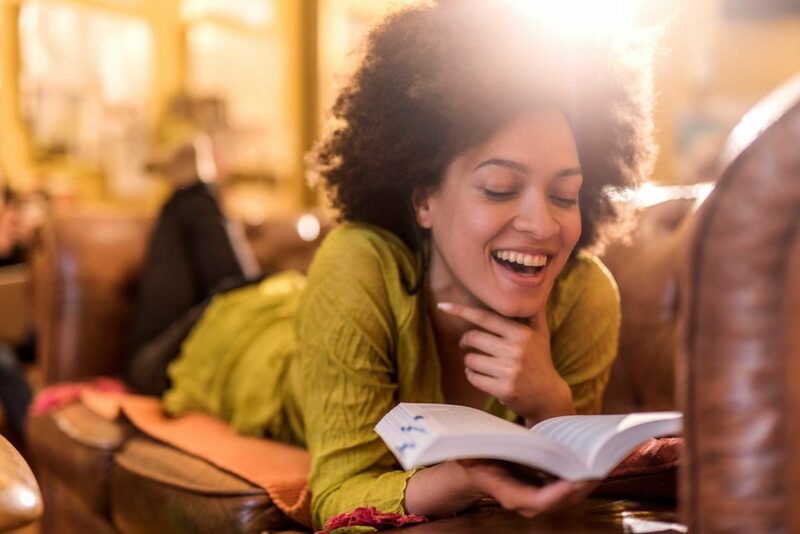 Even if you purchase your own book from a bookstore or download a book onto your smartphone instead, it’s well worth taking your book to a local library to read as libraries offer plenty of quiet spaces to read in. Where you are unlikely to be disturbed. If you don’t mind a little background noise and enjoy the atmosphere which a cafe can provide, you may want to purchase a coffee or a drink of your choice and to sit down at a quiet corner table, where you can enjoy your latest book. Another great spot to read a book is a public park as you’ll be able to enjoy the sun on your skin, on a warm day and listen to the birds chirping in the trees as you read each chapter of your book. While you may want to sit on a comfortable park bench, you may also be interested in sitting under the shade of a tall tree, to read your book. In winter, you may prefer to line on the floor or on a bean bag in front of a traditional wood fireplace. For extra comfort consider placing a mink style throw blanket and a few pillows on the ground to lie on. If you’re looking to make your daily commute to work more interesting, it’s well worth packing your current book in your bag. As you’ll be amazed at how time flies on your daily commute when you have a great book to read. If there’s a restaurant that you’re keen to try out but your friends and family members aren’t keen to try it out with you, simply take your book to the restaurant which you’re keen on trying out. As you’ll be able to read your book in an inviting atmosphere, whilst you wait for each course of your meal to arrive at your table. If you’d like to read a gripping page-turner for several hours in a row, without being interrupted, it’s well worth trying reading on a plane. If you embark on a long haul flight overseas, you may even have time to read an entire book from cover to cover. There’s no better place to enjoy a good book than in the comfort of your bed. With a few extra pillows to prop your back up. In the cold winter months, you can even use a hot water bottle or electric blanket, to make sure that you’re warm and toasty. So if you’re looking for a comfortable spot to read a gripping book, you simply can’t go wrong opting to read a book in any of the 8 locations which have been listed above! Some examples of which include a cafe, a local library, and a public park!